Popdose takes a look at the music of film composer Jerry Goldsmith, and features selections from his best-known scores. 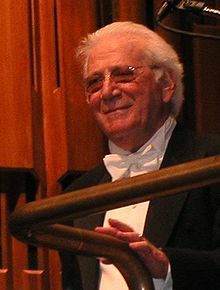 Few movie score composers are as instantly recognizable in their style as Jerry Goldsmith was. His ability to swing from very traditional and sweeping scores like Legend and Star Trek: The Motion Picture to very daring and avant-garde ones like Planet of the Apes, Logan’s Run and, in many aspects, Patton, showcase his desire to stretch the boundaries of what film music could be. Goldsmith’s relationship with director Joe Dante was much like John Williams’ to Steven Spielberg or Danny Elfman’s to Tim Burton. Music for Explorers, the Gremlins movies, InnerSpace and The ‘Burbs all strike that balance between suspense, comedy and emotional underpinning. is a good example, as synthetic and orchestral collide, the high pitches of the keyboards signifying the supernatural while the strings call attention to the Freeling family’s steadily growing resolve and unity. , and the score stood, as far as the worldwide release was concerned. In the US, however, Goldsmith’s music was replaced with an all-electronic score from Tangerine Dream. In the preface to the European Cut of the film on DVD, Scott himself admitted the film worked best with Goldsmith’s score. Goldsmith died in 2004. It is fitting that one of his last accepted scores was for Looney Tunes: Back In Action, directed by longtime partner-in-crime, Joe Dante. Here is a brief selection of cues from the film work of Jerry Goldsmith.